Whilst we talk a lot about Facebook in this column, it is far from the last word in online chat. Long before Facebook came forums, on every topic under the sun, and there are still many active ones today. Some people prefer them for various reasons, including being able to remain anonymous. Let’s start with forums and how they are organized. Topic boards, also just called “boards,” are how a forum organizes its information. Often, a forum will have several categories like: “Wine Making Tools,” “Wine Making,” and “The Marketplace.” Under these categories are links that lead to each board. The boards under “Wine Making” might be: “Beginner’s Wine Making,” “Mead,” and “Bottles, Labels and Corks.” Though they overlap, because the beginner wine maker will need to know how to bottle, label and cork their wine, they are clearly distinct topics. Each of these topics is a board. On each board are threads, which are started by a single post (often a question) and all the responses to that post. These posts stay together and form a thread of information and conversation. Think of a board like a shared noticeboard. One person writes “What grapes make good wine?” on a piece of paper and sticks it on the board. The next person to come through writes “Tempranillo” on the same piece of paper. The third person writes “I like Merlot because it creates more body,” on the first piece of paper then hangs up a second piece asking about yeast variants. As more people come through, more and more pieces of paper are hung up and more and more answers accrue on the papers. As people put new papers up, the old ones are covered over. If someone accesses the older information, it gets pulled to the front of the stack and put back on top. Each piece of paper is a “thread” which is started by a “post.” The inactive threads get pushed down the listings until they disappear onto the second page while the threads with lots of activity stay at the top where more people can see them. So, the first two steps to using forums are finding one and reading a lot on it. Finding a forum can be as easy as running a Google search for your passion + “forum.” If there are multiple results, you can join them all or you can prioritise and join just a few. If you aren’t finding forums that look interesting (or active, more on that later) through searching for forums, try looking for articles instead. Often content-based either host their own forum or will direct you to a forum on the topic. Another place to find forums is in the Wikipedia bibliography. As you are vetting a board, check to see how often a moderator shuts down a conversation and what the conversation was. If their intervention seems appropriate, then you will probably fit in well. If their intervention seems over the top or long overdue, you might want to consider a different online community. The moderator usually has the word “Moderator” under their name on their posts, though some boards have creatively re-named the moderators to things like “Controller of the Universe” or something equally silly! This should come with a clear delineation of the consequences like two warnings from the moderator, then suspending the account and finally deleting the offending account and banning the individual from the board. Though these draconian measures are not often used, it is best to have them in place in the rare cases they are needed. Now, go exploring! 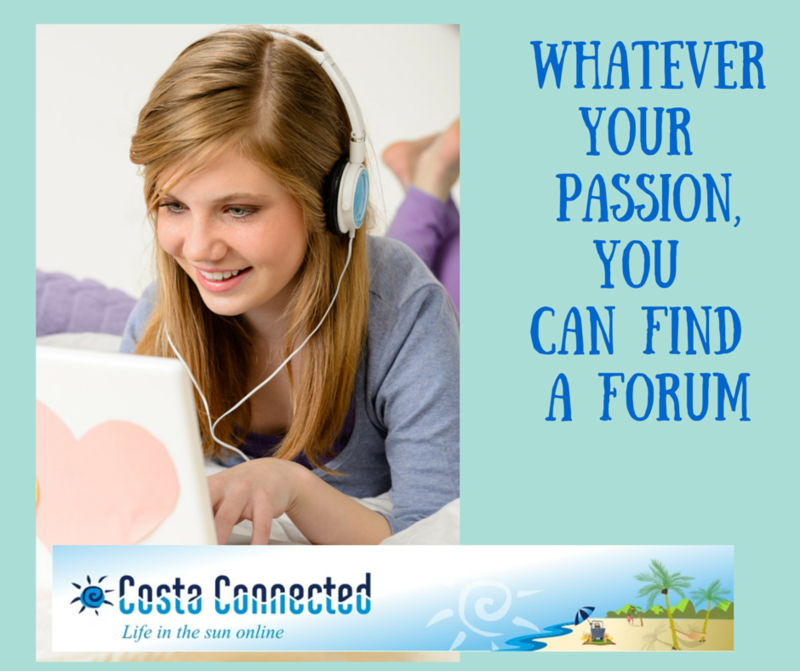 Find a few forums on topics you like or want to learn about and read the posts. Next week, we’ll address creating your own posts and the do and don’ts of forum etiquette. Guest post from G. Gadea.